Good luck with your project Slo cat, the "vennie" is one of my favourites, check my post http://www.falfiles.com/forums/showt...readid=313510, maybe the two old photos could help you. Gracias. I have already been following your post. Please use the American spelling of 'favorites', instead of the English spelling. After all, you and I are both in the Americas. BTW, an Argentine lady won a silver medal in free pistol at the World Masters Games in 2009. Her name is Eva Szabo. Do you know her? I should be getting it back in about a week and I will then post more photos. My T-48 handguard arrived. It looks Great! Last edited by Slo cat; July 20, 2011 at 09:16. That's hot, Slo. Loving it! My T-48 handguards arrived. The look Great! Glad you were able to find some nice handguards. Would be terrible to have to use something that some hayseed whittled out on his front porch! Times of FALs and no money are better than times of money and no FALs. Here are some photos of the hard to get FAL Venezuelan parts. I feel fortunate in that I got these, with the kind help of our brothers on the FAL Files. The last part needed is a type B walnut buttstock, which is on the way. Close up of the engraving, the moses Vene flash hider and the Vene diopter rear sight. Here is the vendor contact info for the firm that did the engraving. The art work for this is already set up, so if you wish to get this same engraving on your FAL receiver, you will save on the artwork cost. These folks are very responsive to your inquiries and their pricing beats all the competition that I know of. They are located in Kansas. EDITED: I forgot to say that Firearm Engraving wrote me that if you mention my name, they will give you a discount. Last edited by Slo cat; July 25, 2011 at 13:06. Looks really great so far SLO!!!! Slo, Thanks for posting the info on the engraving, real hard to find a company that will do the FFL for the reciever do the engraving work and at such very reasonable prices. Maybe a group reciever engraving? Like all of the same per group, like Ejercito Argentino engravings for argies and so on? Do the parts look good, cant really make them out over the drool. Compare this to the photos in Steven's book to see what lettering is included with the crest. In this case, EJERCITO ARGENTINO is printed in a curve around the bottom of the crest (Fig 181). Take a close-up photo of this. Then send both of these to the vendor and they can start on the artwork. Last edited by Slo cat; July 24, 2011 at 20:59. 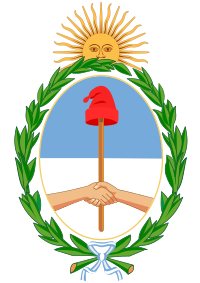 Cool Slo, thank copied the Argentine National Crest. Im also going to ask a favor from fellow filer FSL to see if he can get a good pic also. I also have an Argentine FAL. Perhaps I can engrave the likeness of Peron on it! Or maybe Evita singing, No llores por me, Argentina! Better Peron´s face, it´s more latinamerican MACHO !!!!!! LOL!!!!. How about an el updato? Like photos of producto finito? How about an el updato? Like photos of producto finito? Well, this project has been on the back burner for a long time. But I just got my new air compressor and blast cabinent on line, and my motiviation has been goosed, so look for some photos en una semana. Don't remember seeing it on the list. Any pictures of the final build? Working on the unique Vennie heavy barrel variant. Its not as easy at it used to be finding the unique and rare parts. They are either all gone, or no one is willing to part with them!